Cheyenne at 9 years old. Born 9/17/2003. 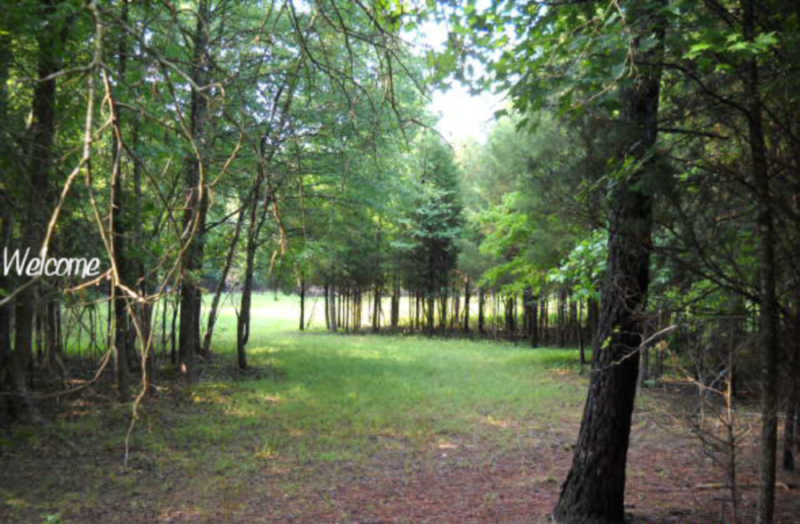 Cheyenne came to us from Tuscumbia, AL, in July 2011. Although she is not perfect, she has many qualities we feel are invaluable to our herd. She is tough as nails, now at 12 years old she has never had a kidding issue, has good worm resistance, excellent mothering ability and produces very strong kids. 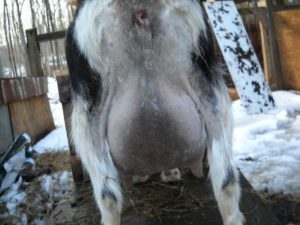 She has an udder that has defied gravity into old age, never had mastitis or any other health issues. She is a granddaughter of Gay-Mor Kingpin’s Lacewing 4*D ‘E’. 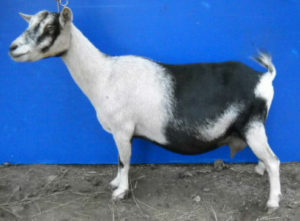 Cheyenne is an outcross, AGS and ADGA registered, a mixed pattern Swiss-marked and cou clair. Cheyenne in the ring at age 9. 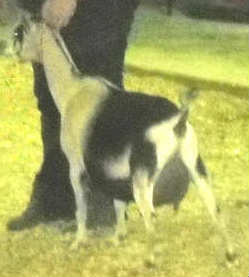 10/1/2012 1st place Over 5 yr Milker, Cleveland Co Fair. Commended for her level top-line.